It's not every day you get to act like a teenager. I was driving a 2014 Ford F150. I punched the accelerator up to 80 MPH, just like Justin Bieber in his first car. I cranked up the volume to Insane Clown Posse levels, and drove like both the truck and my hormones were on overdrive. All for the sake of research, right? In truth, I'm the father of two teens, and I was testing whether Ford's MyKey technology could help them be better behind the wheel. "[MyKey] is a tool for mom and dad to help young drivers start with good driving habits," said Andy Sarkisian, the Safety Planning Manager at Ford. And it tries to do so without overwhelming drivers with excessive pings and nags. Introduced in the 2009 Ford Taurus but now widely available in Ford and Lincoln models, MyKey comes with some basic boundaries already set. The vehicle won't go over 80 MPH, it shows speed warnings, and--in a true coup d'état for any parent--it disables the radio until the teen driver buckles up. The truck limits the radio volume to 45% to help teens listen for traffic cues. MyKey even disables adult radio stations on satellite radio and warns drivers about low fuel earlier. Programming MyKey was a snap. You insert the key you want to program into the car's ignition lock. (Most F150 trucks come with two keys, including one "admin," and you can have up to 9 keys total.) You use controls on the steering wheel to find the Settings menu, whose options you can view in the display in the instrument cluster. Scroll to MyKey and start figuring out how little fun you want your teen to have. For example, you can set whether the driver has the ability to turn off traction control. And, you can configure whether the driver gets a speed limit warning at 45, 55, and 65 MPH. When you're done, you press the Select button on the steering wheel to activate that key. One minor surprise: I expected MyKey to work right away, but you have to shut the truck off and start again to activate it fully. Also in my tests, the radio stayed silent until I buckled up, but only after I started driving. I'd prefer it to force the seatbelt even if you are idling. Otherwise, the speed warnings popped up as expected at each speed interval. Approaching 80MPH, the truck backed off the accelerator and would not let me go any faster. I also found a few more useful settings to help me cope with teen drivers. The Do Not Disturb feature is unrelated to MyKey, but this option (available through the center touchscreen display) blocks calls and text messages from showing on the display. There's also a way to set a "restricted area" in the nav, so a magenta blip appears when a teen drives in that area. Youngsters might ignore that message or not even use the nav, but it's an extra tool in the toolbelt. My Key is also designed to be hard to fool. For fun, I went to a Ford dealership and, pulling my baseball cap low and donning dark sunglasses, tried to get a service tech to re-program my key to disable the speed warnings. No luck. He said I needed the master key and proof of ownership. There are two "generations" of MyKey, but the differences are minimal. 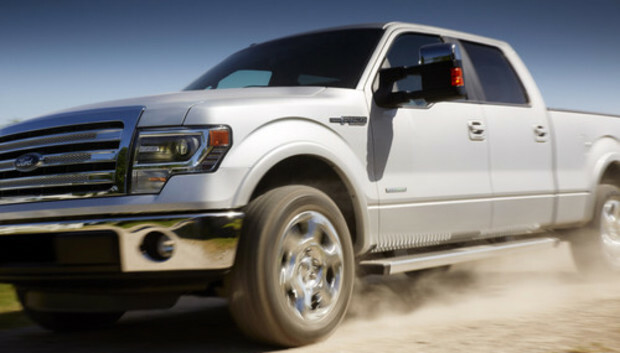 The 2014 F150 I drove uses the first-gen, but it'll start selling with the second-gen version soon. The new version gives you a few more options for speed limit alerts. Ford's Sarkisian told me the MyKey system will change with technology advancements, but he's mindful of new privacy concerns and possible feature distraction. To develop MyKey, he says the team sought the opinions of hundreds of students and parents. "With new technologies like lane departure warning and forward collision warning--we will look at this and say, do you want Junior to be able to turn off these safety features? There's also a broader opportunity for research into fuel efficient routing in nav systems," he says. The MyKey system was pretty subtle in my experience. It popped up only when I drove a bit recklessly--hitting 65MPH, or trying to punch it up to 80MPH. Still, the truck could have done a bit more in the cab to instruct teen drivers without betraying privacy. "I would like to see MyKey expand into an awareness and educational feature for new drivers in addition to being a tool to cap certain driving aspects and enforcing specific driver behavior," says Thilo Koslowski, an auto analyst with Gartner. "MyKey could create a driver/driving report' that allows parents to review driving events and issues (e.g., too erratic driving and braking)." That said, I'm a big fan of MyKey. The buckle-up reminder is invaluable. The speed-limit warnings and the 80MPH speed limiter could could save teens from a ticket--or worse. It's all for the sake of education and fostering discussion with teens, and that's priceless.